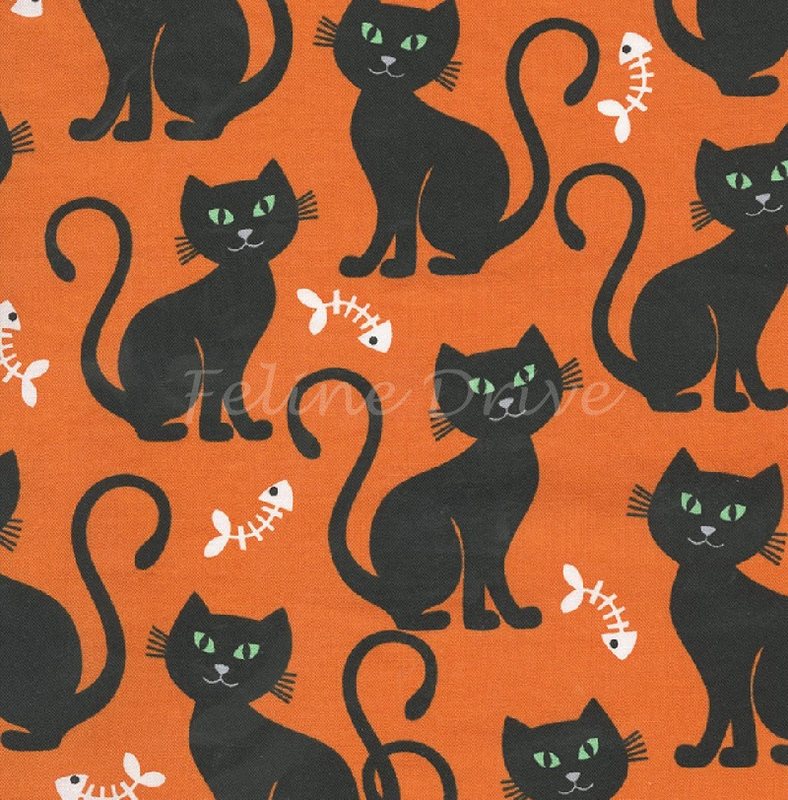 Get ready for Halloween with this great fabric from Michael Miller's Bats & Black Cats line. 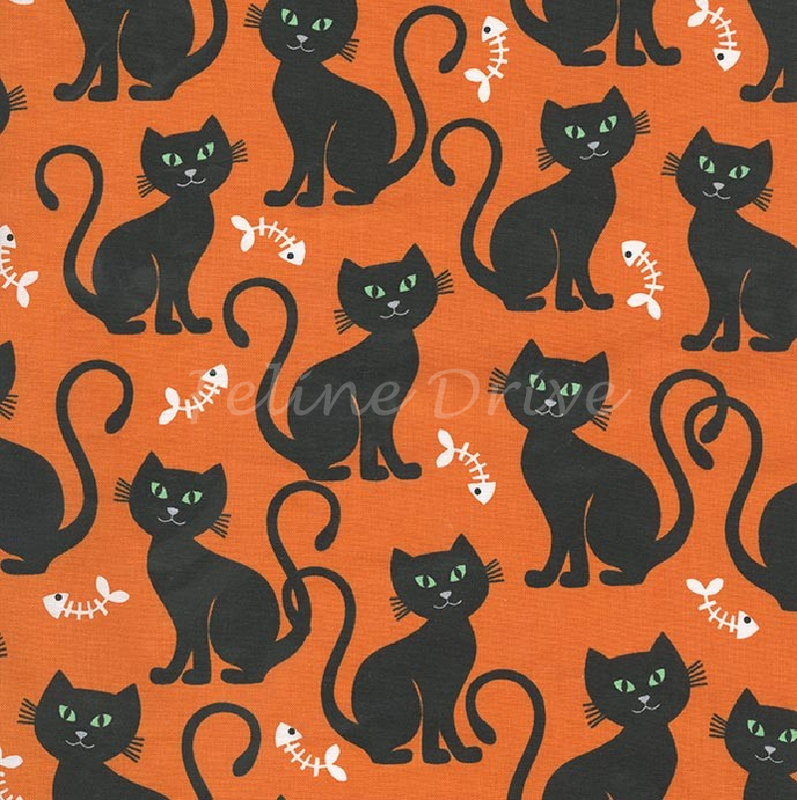 This fabric features not so scary black cats with green eyes on a bright orange background sprinkled with white fish bones. Print Size:Cats are approximately 2.5" to 3" tall.